In most auto accident lawsuits on behalf of the person who was injured or killed, a lawyer will charge a contingency fee. The lawyer’s fee is typically a standard one third (33.3%) of the amount recovered, minus costs and expenses. Costs and expenses can include the following: filing fees; medical records; expert witness fees; private investigators; deposition fees; trial exhibits; mediation fees; etc. These costs and expenses may be high, further reducing your potential recovery. There also may be medical and other liens on the potential recovery that take even more money out of your pocket. Auto accidents involving serious injuries can be life changing, and every penny that you can save is critical. What can be done to increase the amount of your potential recovery? What if you could hire a great auto accident lawyer, who would take less than the standard one third referral fee? A lawyer to attempt to broker a lower fee for you at the beginning of the case is the answer. $1,000,000 judgment minus $50,000 expenses minus $150,000 medical lien = $800,000 net recovery. The lawyer would earn $264,000 after subtracting the one third attorney fee. The client’s recovery would be $536,000. What if the attorney referral fees were capped at 25%? The client’s recovery would be $600,000 in this hypothetical, which is a $64,000 difference from a one third referral fee. Think about it this way: an additional $64,000 could pay for a college tuition, overdue bills and debts, or a luxury automobile. It may pay off a home mortgage. whether or not the person/company that injured you is collectable (Does the person/company have insurance or assets that can be used to pay the judgment). If any one of these critical elements are missing, the lawyer may choose not to take the case. Lawyers are free to accept or reject representing clients – they are not obligated to represent someone unless there is a fee agreement reached. It is also important to know that not every lawsuit is successful. With litigation, there is a risk that you may not recover damages at all, or not recover to the degree that you believe you are entitled. On the other hand, with great representation and the right facts, a great recovery might be possible. The lawyer broker’s fees can also be contingent, and factored into the amount that the lawyer representing you for the auto accident ultimately recovers. The fee between a lawyer and his or her client is governed by contract law and the rules of professional conduct. The laws in all States are different, and may be subject to limitations and restrictions. It is unlikely that a lawyer can broker for a lessor fee once you have hired the lawyer that is representing you. You need to have the lower contingency fee in place initially. 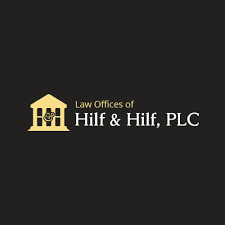 For great legal representation, consider attorney Daniel Hilf of the law firm of Hilf & Hilf, PLC. Hilf & Hilf, PLC is located at 1775 W. Big Beaver Road in Troy, Michigan 48084. Call Attorney Daniel Hilf today at (248)792-2590.